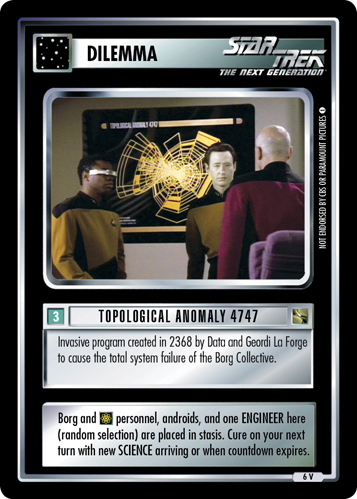 Invasive program created in 2368 by Data and Geordi La Forge to cause the total system failure of the Borg Collective. 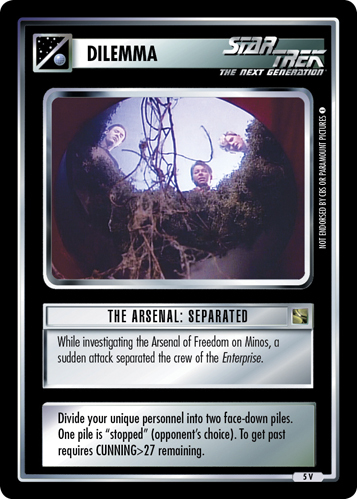 Borg and personnel, androids, and one ENGINEER here (random selection) are placed in stasis. Cure on your next turn with new SCIENCE arriving or when countdown expires. Image Source: The Next Generation: "I, Borg"